My name is Madasen (@madasen_ on Instagram) and I have a love for all things Disney and fashion. My home park is Disneyland, but I worked for seven months in Walt Disney World doing the Disney College Program. When I stumbled upon the Disney Instagram community I was so excited to be part of something that brought together so many people, who have similar interests as me. I have started something new on my page called #MadasensStyleChallenge. 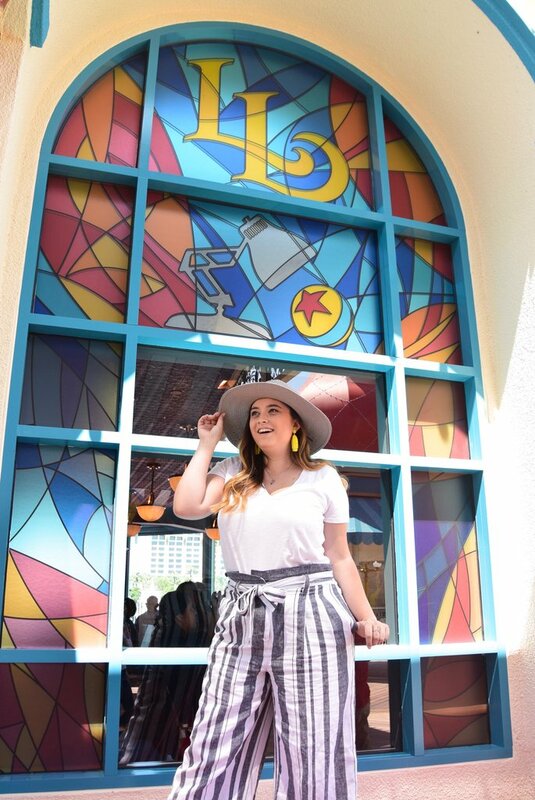 Each month I challenge someone new in the Disney Instagram community to use their personal style to help me showcase how to incorporate Disney into your everyday style in and out of the parks. The challenge and the challengers are different every month and they are both a surprise until the day of the next challenge. For the first month, I challenged an amazing Disney style fan who lives in New York city, Luci (@adventuresofluci). The challenge was to style the same Pluto denim jacket from H&M in two different ways. For this month’s challenge, I chose something a little more challenging, and my good friend Paris (@perksofaparkhopprincess), was so amazing and was game for it. I decided I wanted to style the monochromatic trend that I have been seeing a lot from fashion bloggers all over the world. I saw the trend and I couldn’t help but think “how can I add Disney to this?? ?” And since our minds think alike, we chose color schemes to match two iconic best friends: Minnie and Daisy. 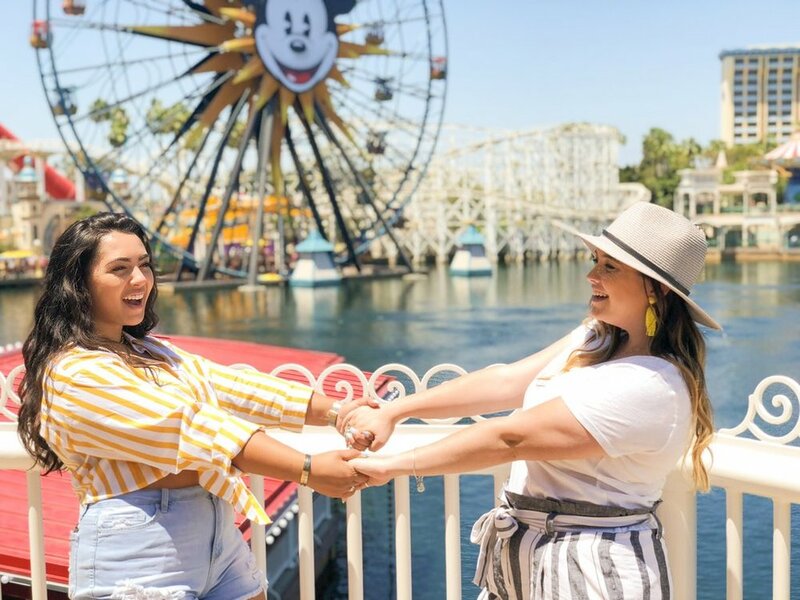 This challenge was designed to showcase all the amazing style we have in the Disney community, and to show that not every style is the same, which is a good thing. The way one person styles something might be different than anything you would have thought of for the same piece or trend. I want to see your style! Once every other week in the month, I will be featuring your looks on my page. Recreate the challenge and share them with me by using the hashtag #MadasensStyleChallenge, for a chance to be featured. This community is so diverse and has so many different types of personal style, I want everyone to see it. 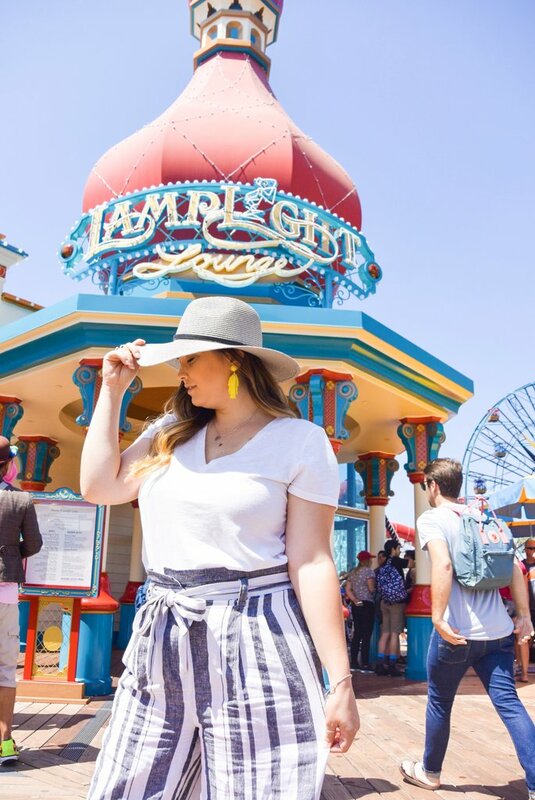 I hope you will follow along on this style challenge journey not only on my page but here on Dressed In Disney as well. Any guesses who I might challenge next?